Please join us for our Hug More Point Series to start off the year. 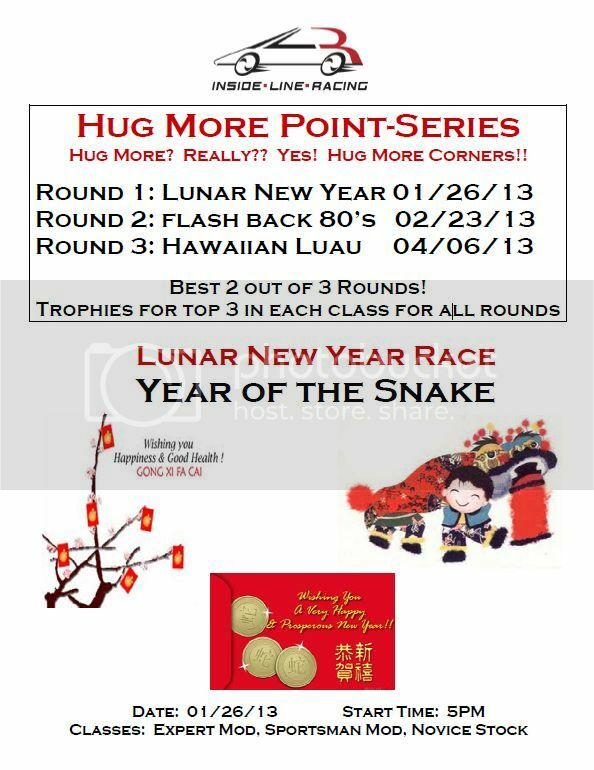 The first race of the point series will be the Lunar New Year race. We will have three classes, expert modified, sportsman modified, and novice stock. Attached below is the flyer. Last edited by Z_408; 2013.01.07 at 01:43 PM. Sign me up for Sportsman Mod please! me too sign me up for sportsman mod too! working on being there for this series! No entry unless you bring some cherry tobacco for pete and I.
oh yeah... booked my flight for the 26 cant wait! oh yeah.... and a pouch of cherry! Sounds good, no need for Taxi, shoot me a PM if you need a ride from the airport. Unlike socal, everything here is only 5-10 miles apart. 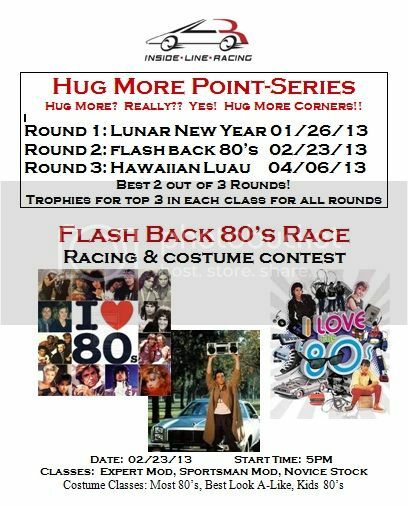 First race of the point series is this Saturday. Round one of the Hug More Point Series was a big success. 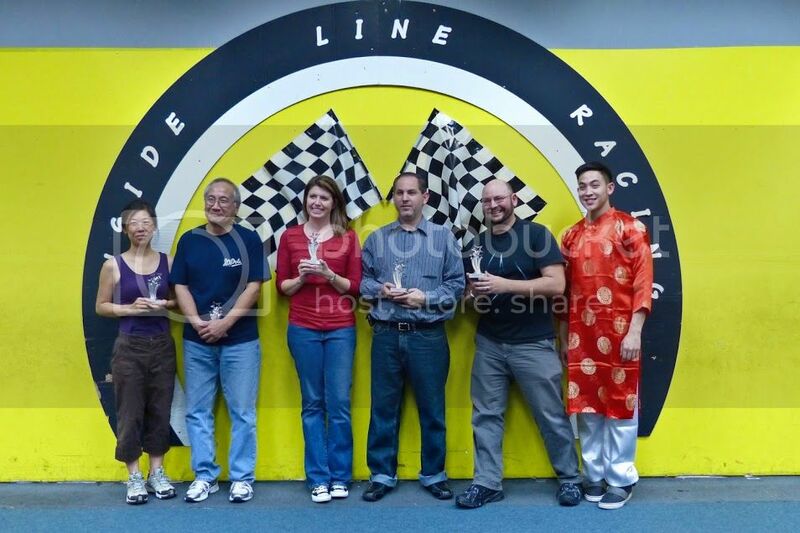 We had nearly 50 racers show up for the Lunar New Year race. In the stock class, Josef took home novice stock honors. In sportsman modified, David C took home TQ, but Joe H was a little bit faster in the main to take home the first win of the series. 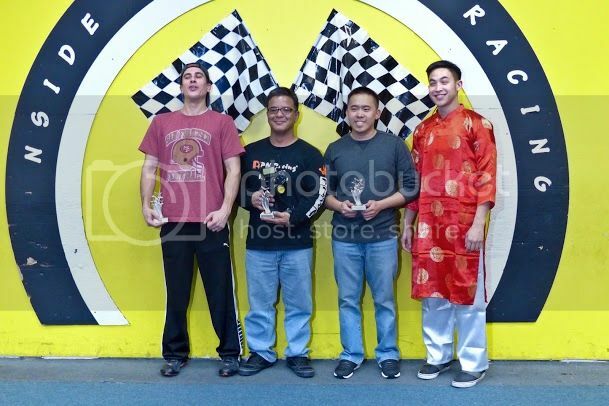 In our expert modified class, the battle went down to two PNWC champions, Stephen B and Grant M. The race went back and forth throughout and went down to the last lap with Grant crossing the line just 0.17 seconds ahead of Bui. A great night of racing. Round two details will be coming soon. Who took 3rd place for Sportsman Mod? as always ... a great event to start off the new year! 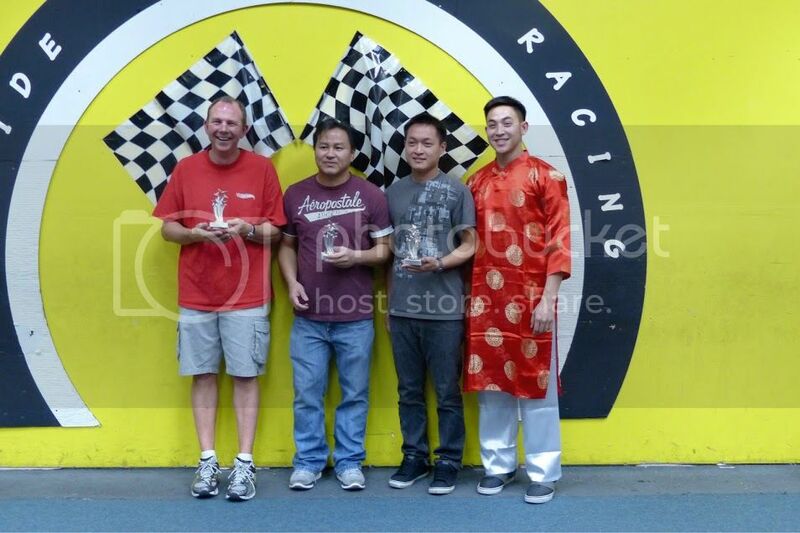 special thanks to Binh and Chris and the whole inside line racing family for providing a first class facility! Get ready for this one, only two weeks away. Get your costumes ready. Should be real fun racing and fun seeing everyone in crazy costumes.